Last year on a Thursday evening in Frankfurt, Germany, I launched my memoir Any Given Thursday from my hotel bed. Only after I had hit ‘upload’, did I realise just how serendipitous that was. 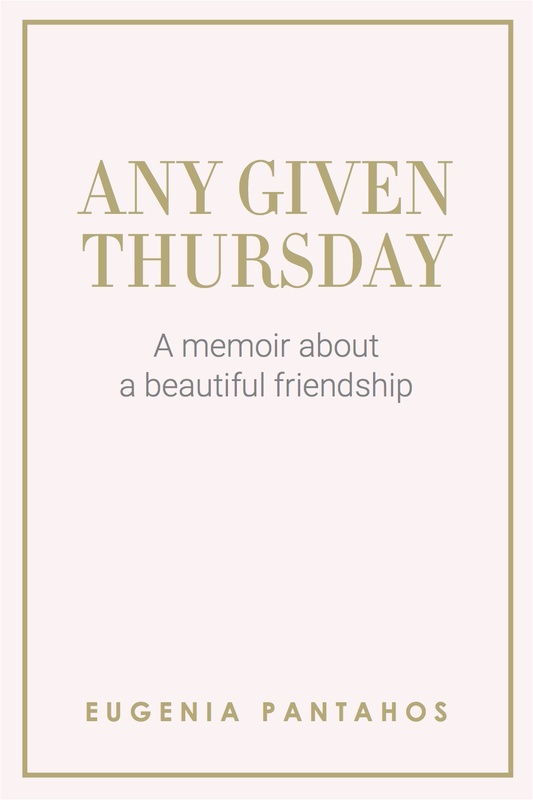 Any Given Thursday It is a book about friendship. It’s a story of a woman with a beautiful heart, a generous spirit, a diagnosis, and a battle that would become insurmountable. It’s a book about life and love, about dedication, about facilitating a journey, and the inevitable surrender. It’s about making a difference, showing up, having courage, and always remembering. The eBook for Tablet, Phone and Kindle is now available here. The story in this book is so close to my heart, and because of that, part proceeds will be donated to various causes as a way to give forward to those who are doing it tough. Help me to make a difference! 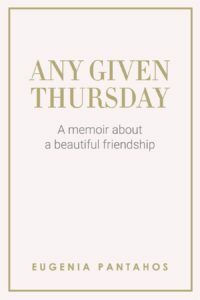 I’m thrilled to share with you just some of the reviews of Any Given Thursday. 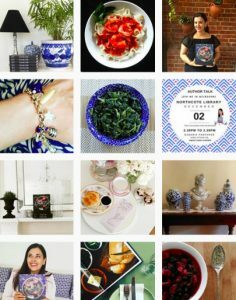 I’m Eugenia Pantahos, and I thank you for reading my post! It's always nice to share! You may wonder what all the fuss is around the Mediterranean Diet. I’d like to share the secrets behind this way of living, and why in some parts of Greece, people enjoy longevity and good health well into their 90’s and beyond 100. Firstly, it’s not simply a diet. More than that, it’s a lifestyle. It’s about choosing the freshest in season fruits and vegetables, enjoying a small quantities of nuts and dried fruits, generous amounts of olive oil, a glass or two of wine, multiple servings each week of legumes, two to three servings of seafood a week, and very limited dairy, red meat, and poultry. Correctly observed, the Mediterranean Lifestyle also incorporates times of fasting. As a rule each Wednesday and Friday, plus forty days before Easter, the first 15 days of August, 40 days before Christmas, and some other dates in between. That adds up to over 200 days of the year where no dairy, meat and poultry is consumed, and on some of these days oil and wine are also not consumed. Aside from the food, the Mediterranean Lifestyle encompasses having fun, being socially connected, laughter, dancing, gentle exercise by way of walking, gardening or dancing (did I say fun? ), sipping a Greek coffee served in a demitasse cup, enjoying a couple of glasses of wine, and basking in the company of family and friends. These lifestyle choices are at the core of my book award-winning book Greek Life. 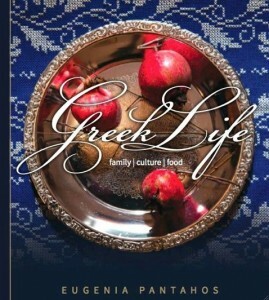 If you love Greek food, and admire Greek culture, be sure to order your copies from Amazon. Click on this link to order my books. Greek Life belongs in the homes of families for whom Greek culture means something. I’m Eugenia Pantahos, and I thank you for keeping the celebration alive. My father has been remembered at a 9-day memorial service. As is traditional in a Greek Orthodox Memorial Service, there is some preparation required. My sister baked the Artos Bread and I prepared the Kolliva, that special Greek recipe prepared for honouring our loved ones, and these were all blessed and served at a short family service at the cemetery. Greek Kolliva are especially prepared for honouring those who have passed, symbolizing the circle of death and rebirth. 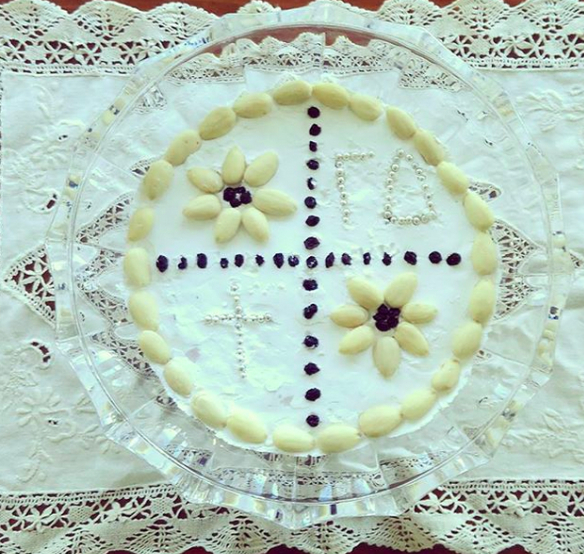 Boiled clean wheat, raisins, currants, walnuts, almonds, pomegranate, parsley, cinnamon and cloves are mixed together and then covered with ground toasted sesame seeds and topped with a layer of loose icing sugar.The kolliva, that represent the promise of eternal life, are then decorated with the initials of the deceased and other motifs. 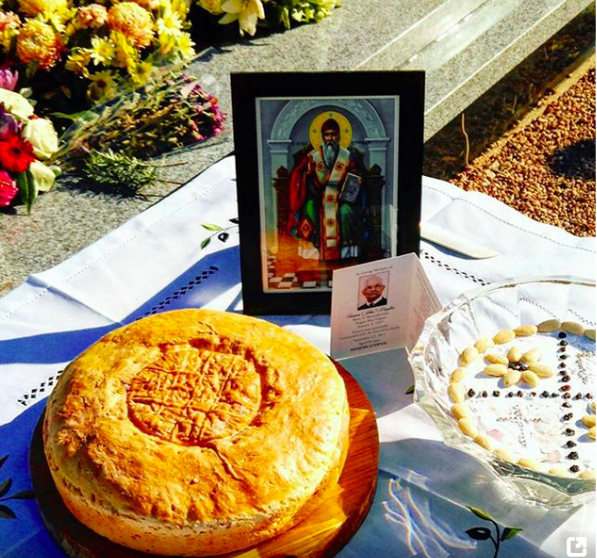 There is something quite reverent in preparing the Artos bread, the Prosfero Bread (to take to Church), and the Kolliva, and my family have honoured my mother over the last 7 years in this way, and now we are honouring our father. Memory Eternal. Explanation of traditions together with recipes can be found on pages 172-179 of Greek Life. You too can learn step-by-step how to honour your loved ones, be it for the 40 day, 3 month 6 month, 9 month or 12 month memorials. Greek Life is available at my online shop, and from my national stockists. With love and remembrance for my dear parents. The photo to the left is my father sitting on a bench in Elder Park, Adelaide the day after he arrived in Australia, having left my mother and their three children in Greece to seek opportunities in Australia. He is a man filled with hopes and dreams. Circa early 1956. With hard work, sacrifice, and a vision for his family, and with much dedication, a life was created in Australia, and it would take six and half year before my mother and their three children would be reunited. We benefited from the choices and sacrifices my parents made, and have made them proud and happy. Together they lived a full life with their family, their community work, and lots of travel and shared experiences catching up on the lost years. The days after my father passed away, we received over 120 people into his home where as a family we received condolences. 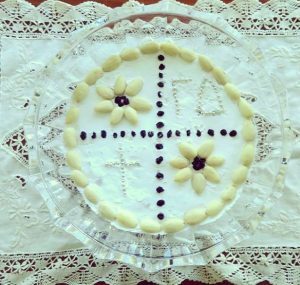 As is customary in Greek Orthodox tradition, those visiting brought jars of Greek coffee, bottles of Brandy, and plates of Paximadia (Greek Lenten Sweet Rusks). These offerings help the family cater for the many visitors who will want to visit the grieving family, and also come in useful for serving at the wake and other memorial services. We have farewelled our father to a standing room only service at St George Greek Orthodox Church and afterwards the wake and celebration of his life was held at the Elion Society “Olympic Flame’ Hall, where he was a founding member and has served the community continuously for 45 years. Over 320 people came to the hall to share in a meal, drink to his memory and to honour our father. As a family we are honoured that so many people came to pay their respects, and some travelled from far away and interstate to do so. He will be missed deeply. 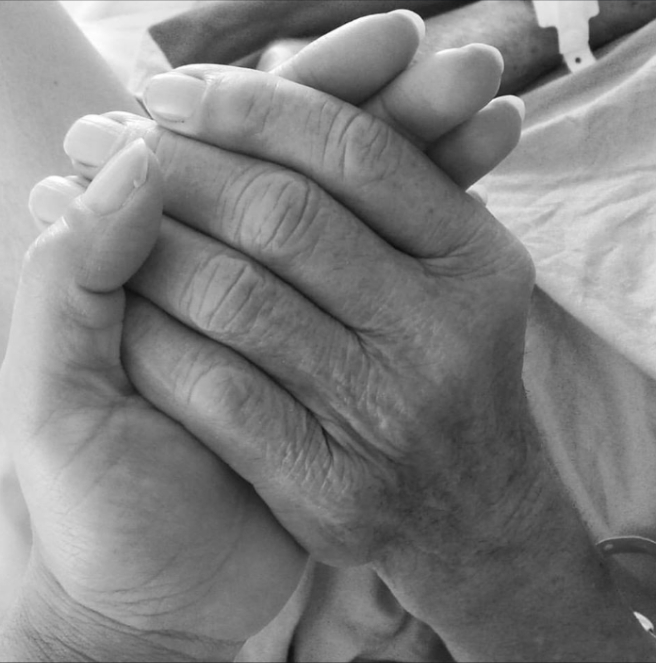 This moment is one that I will cherish forever; my father reaching for my hand the day before he passed away. 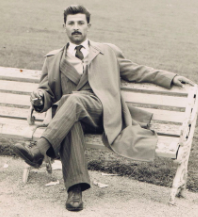 For those who have my book Greek Life, the photo of my dashing father sitting on a bench can be found on page 22. This photograph was taken at Elder Park in Adelaide, the day after he arrived in Australia; a man filled with hopes and dreams. Circa early1956. Many of my readers have reached out to me sending their condolences, and letting me know that they have re-read the chapter on the Story of Family and New Beginnings, providing a renewed inspiration from my parents incredible story. 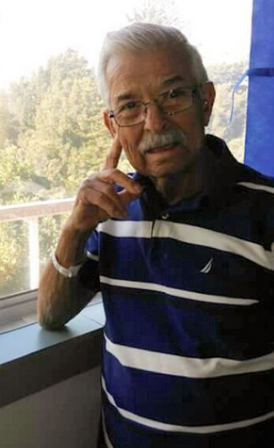 My heart has a place that belonged to my father, and his memory shall always be eternal. I take comfort in the meaningful and fun relationship we enjoyed, for his guidance, sense of humour, lessons shared, and how he exemplified a dignified life through actions that represented his core values. My life is richer for having a father like mine, my children’s lives are richer for having a grandfather who was active in their lives. He will live on forever in our hearts and in our memories. The theme for the August free downloadable and printable calendar (a gift from me to you) is PASSION. Here’s a little visual inspiration. Passion gets us excited, it fills our mind with ideas, new realities, wonderful opportunities. It runs through our veins, makes our heart quicken, can make our cheeks flush. So whatever it is that you do, what ever path that you are exploring, remember to do it with passion or not at all! Winter is a wonderful time to enjoy a delicious and mouthwatering Greek Milk Pie, known as Galtatopita. You’ll love the aromas of vanilla essence and the creaminess of this amazing milk pie. Enjoyed warm, or chilled overnight, it matters not. Cut this pie into pretty diamond shapes, and place on your most gorgeous cake plate….and then quite simply surrender to the deliciousness that is Galatopita. The recipe can be found in my book Greek Life. You will love this family favourite. 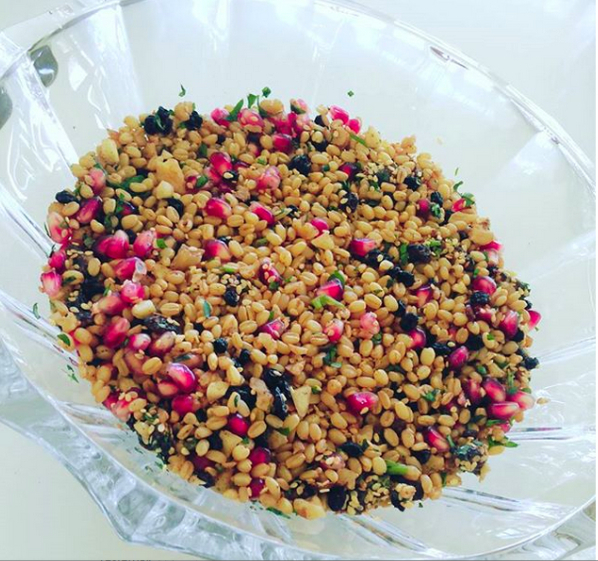 Here’s a clip of how to make this sublime Greek sweet. Last year my youngest daughter and I had some fun filming the making of one of our family favourite recipes, Galatopita, a delicious Greek Milk Pie. Galatopita is a milk pie, thickened with semolina and infused with freshly grated lemon zest and pure vanilla essence. It is prepared on the stove top until thickened, before the eggs are quickly whisked in and mixed well, and then baked in the oven until golden brown and crisp around the edges. We loved enjoying this treat, and mum was an expert at making it with fresh home laid eggs straight from the hen house, and lemons picked fresh off of our lemon tree. You really can’t get much better than that! 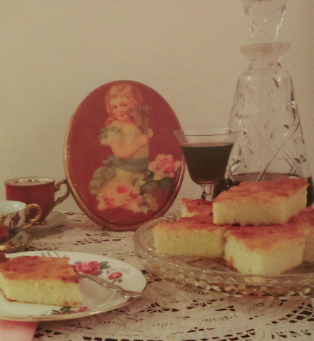 The aromas of vanilla and lemon would permeate the home, and we knew that we were in for a treat. This milk pie can be enjoyed at room temperature just after its cooled down, and its even better the next day if refrigerated overnight. Galatopita is pudding deliciousness and the best part is scraping the baked on edges off the baking dish to get the crunchy bits! 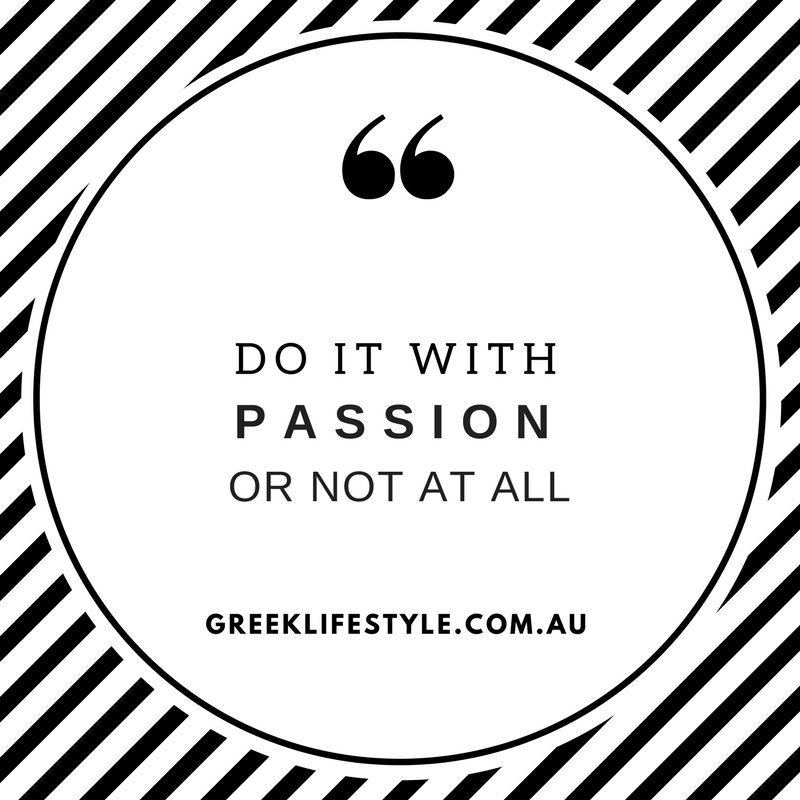 The recipe can be found in my book Greek Life, that is currently available as a limited edition HARDCOVER from my Australian stockists or direct from me. The SOFTCOVER is available at Amazon and you can order your copy here! If you would like a sneak peak at this short but fun little episode…click on the video below! But, be sure to put the volume down on your speakers first…the exciting Greek music might give you a startle! While you’re there, feel free to subscribe to my YouTube account, as I’ll be adding some more demonstrations just for you! I have some AMAZING news to share! 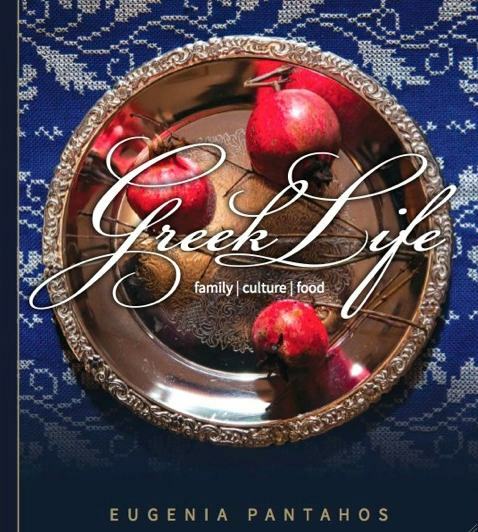 I have just learned that my humble, yet beautiful and timeless book Greek Life that was originally written for my immediate family as a personal memoir and cultural cookbook….is sitting at No. 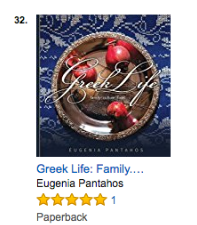 32 at the Best Seller List on Amazon in the category of Greek cookbooks!! No. 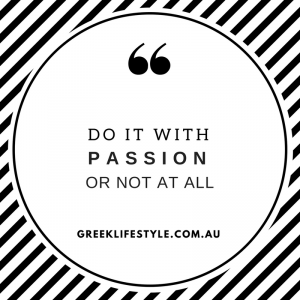 32 is not just one of my favourite scents, but its now the number that Greek Life is sitting at on the Best Seller List…..sorry did I just type that again? I’m really excited!!! This is a shiny, bright, and exciting little bit of news that has made me feel so proud. You see, Greek Life was going to be a family book, and its not until I had the courage to say ‘out loud’ that I had written this book that peoples positive responses encouraged me to pursue the idea that Greek Life could be a truly valuable book that belongs in families for which Greek culture means something, for Phil-hellenes, for foodies, lovers of culture, the thinkers, the cooks, and those who love photography. Fast forward just a couple of years, much serendipity, heaps of commitment, a clear vision, loads of strategy and relationship building, and backing myself even when at times the journey seemed larger than life…..and in what some may see as an instant…..Greek Life has been embraced internationally by readers in all corners of the globe. The release of the softcover edition has made it possible for this to happen. A huge THANK YOU to each and everyone of you, who added my book to your collection. I hope that it means as much to you as it means to the readers who have contacted me to let me know just how they feel about Greek Life. I’m eternally grateful. 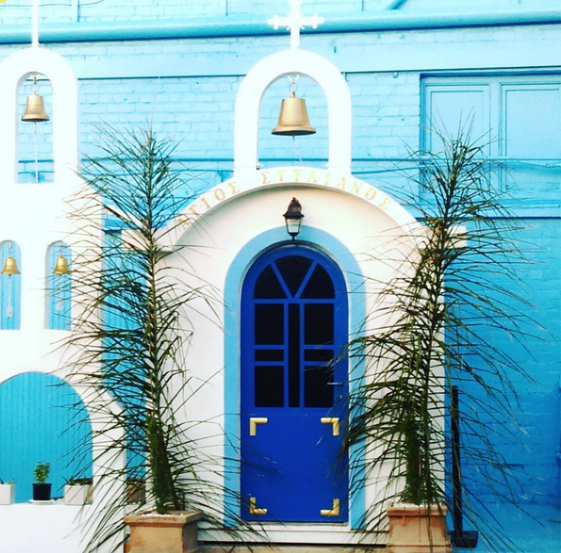 This little church named Aghios Stylianos sits adjacent to the main entrance of Omega Foods at Hindmarsh, South Australia. Not only can you get all your baking ingredients, specialty foods, wine and kitchen needs, you can also find copies of Greek Life. More stock in store in time for Easter! Recipes for these traditional recipes and the best roast lamb you’ll ever taste, can be found in my book Greek (family | culture | food). You can get your hard cover copies here or from a stockist nearest you, and eBook for various devices, and the specially released softcover for global customers.